When spring training camp breaks each April, major league teams give prospects a laundry list of things to work on. 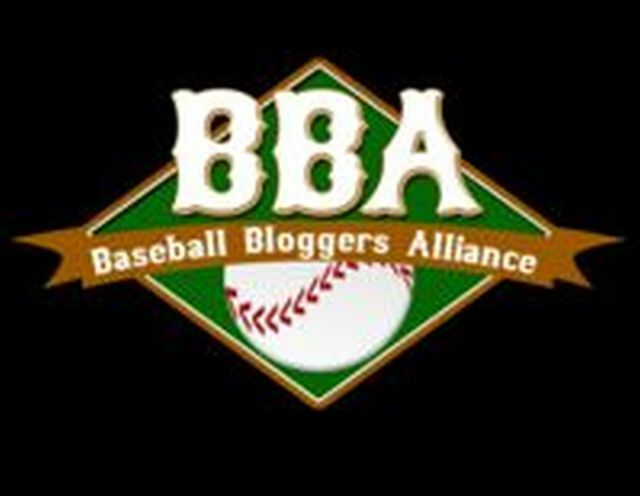 Some are assigned to full season affiliates, while others remain behind for an extended spring training season in Florida. All have various facets of their games to work on: pitchers have to sharpen their command, continue to develop their velocity, and work on their between-outings routines. Hitters have to work on pitch recognition, get stronger, and hone their defensive skills. All players have to work on how they prepare and recover from competition. Every player in the Blue Jays system has a personal workout plan to improve upon some or all of strength, agility, and endurance. It's not until all the boxes on their lists are checked that teams will consider moving players up to the next level. And as fans, we can all get a little impatient. But teams stick to the script, and we have to bide our time to wait for a player we really want to see. 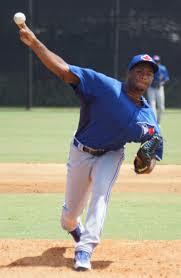 Like Blue Jays RHP Yennsy (pronounced 'Jennsy') Diaz. With Lansing's starting pitching staff mostly a shambles beyond stalwarts Justin Maese and Patrick Murphy, Diaz' name was one I was continually looking for in the minor league transactions page each day. But even though the Lugnuts needed starting help, Toronto was not going to be deterred from following the process. As June approached (and both Maese and Murphy landed on the DL), the 2014 IFA, who has averaged a strikeout per inning through three minor league short seasons, was finally promoted from Extended to Lansing. And in three pitch-count limited starts, he has been nothing short of electric. In his first start, Diaz fanned four in two innings, following that up with 8Ks over 4.2 innings in his second one. Diaz' third start was a thing of beauty: facing a tough West Michigan lineup, Diaz set down the first 9 Whitecaps' hitters to come to the plate, striking out 5. Returning after a half hour rain delay, Diaz was not quite as sharp over the next two innings, but the 20 year-old Dominican offered a glimpse of what is to come. Diaz' main weapon is a 97 mph fastball with excellent movement and some arm-side run. Pitching from a drop-and-drive delivery, Diaz' mechanics are clean. He can pound the bottom of the strike zone for weak contact, run the ball in on right-handed hitters, or elevate it when he has two strikes on a hitter. West Michigan batters were simply overmatched through the first three frames, where Diaz sat 96-97, and touched 98. He showed that his secondaries are still a work in progress, however, and he generated few whiffs on off speed pitches. That fastball gives him a wider margin for error with them, however, and will buy those secondary pitches some time as he develops. Diaz' to-do list for April and May included continuing to work on his mechanics. Diaz can overthrow at times, and that has limited his ability to get behind the ball and impart sufficient movement-inducing spin on his fastball. For the most part, he stayed with his delivery in his most recent start, but did show a tendency sometimes to come out of it as he tried to keep the ball down in the zone. He finished out front on the majority of his pitches, however, and mastered hitters through the first three innings. When he came back after the rain delay, Diaz caught too much of the strike zone, and gave up contact. Given that dominant fastball, the previous management regime might have been tempted to acclerate Diaz' development and turn him into a reliever in the hopes of uncovering a back of the bullpen power arm. With the current administration, Diaz will likely get plenty of time to continue to develop as a starter.